It has been 20 years since Poison first began their career on Sunset Strip. In celebration of their 20th Anniversary, Poison have teamed up with Cinderella for a special 20th Anniversary Tour that rolled into Boston's Tweeter Center on August 5. Cinderella hit the stage at 8 P.M. and performed an hour set of blues, infused hard driving hits, that has become Cinderella's trademark. 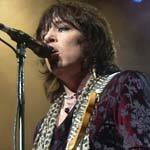 Opening with the bluesy Falling Apart At The Seams", this song set the theme for the entire show. 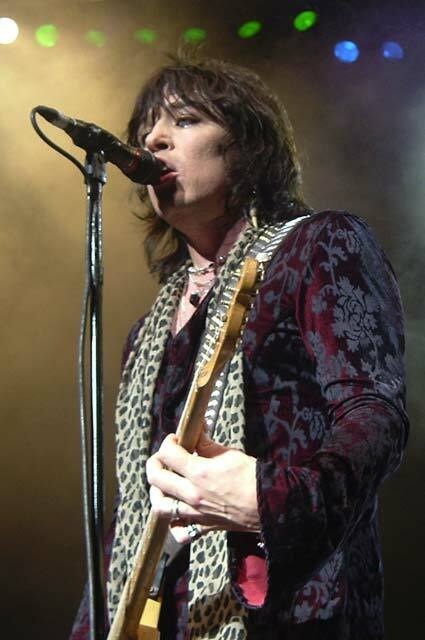 Tom Keifer sporting a black and maroon embroidered long blazer, and leopard scarf, reminded me of a young Steven Tyler cranking out the blues on "Push Push " and "Save Me". 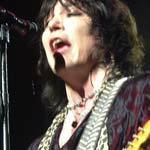 Tom Keifer, who was a little under the weather, still managed to put on a good show, as Cinderella cranked out the 80's classics that inspired their career. 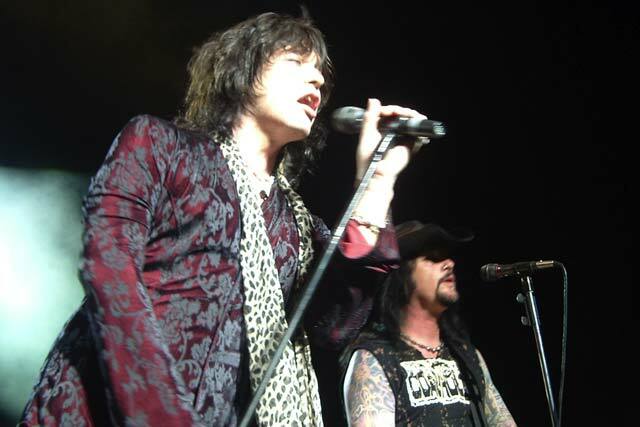 Highlights of the set included the acoustic version of "Heartbreak Station", featuring Tom Keifer on acoustic guitar. The bluesy front man belted out this love gone bad ballad with much emotion, and then dived into another crowd favorite "Coming Home." 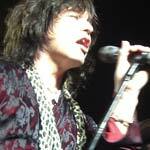 The band was just getting warmed up, as Cinderella rocked the house with "Shelter" featuring Tom Keifer on saxophone. 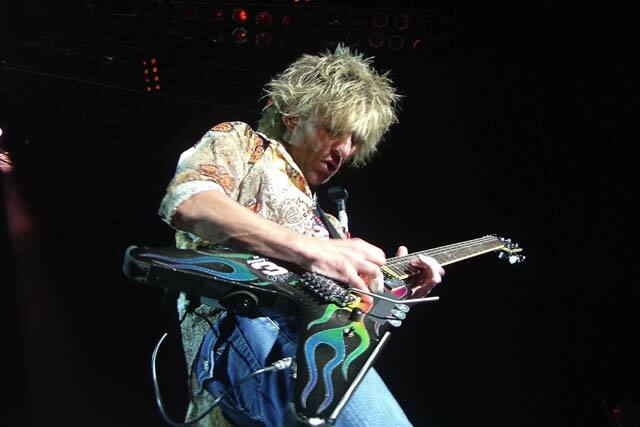 Lead guitarist Jeff LaBar showcased his talents on "Gypsy Road", and "Nobody's Fool." 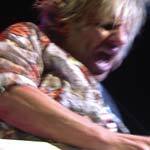 The rhythm section that featured drummer Fred Coury and bass player Eric Brittingham were very tight, laying down those funky grooves, which inspired most of Cinderella's hit songs. The band ended the show with the song that started it all, their first single, "Shake Me." 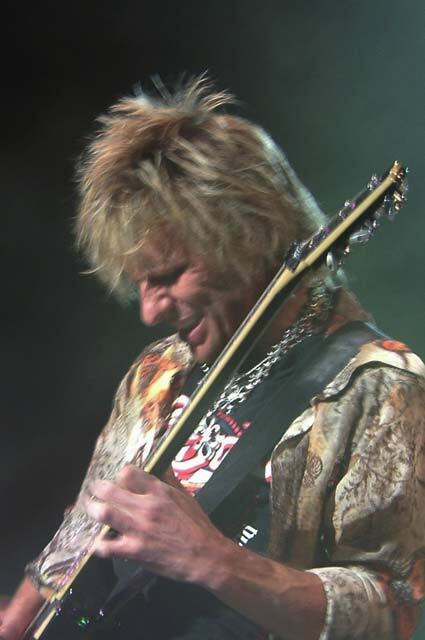 The audience, which featured a variety of fans seeing the band for the first time, to the die hard fans who have followed Poison throughout their extensive career, was pumped and ready to see their 80's heroes. Poison hit the stage with a bang, and performed an hour and half set that included pyro, flash pods and power packed hits that spanned their extensive career. Rock trends may come and go, but with the 80's metal resurgence that is taking place this summer, Poison still remain one of the top 80's bands. And still retain a very strong fan base around the world. Opening with "Look What the Cat Dragged In," Poison performed an exhilarating set that featured all of their hits, being performed with a re-energized passion. 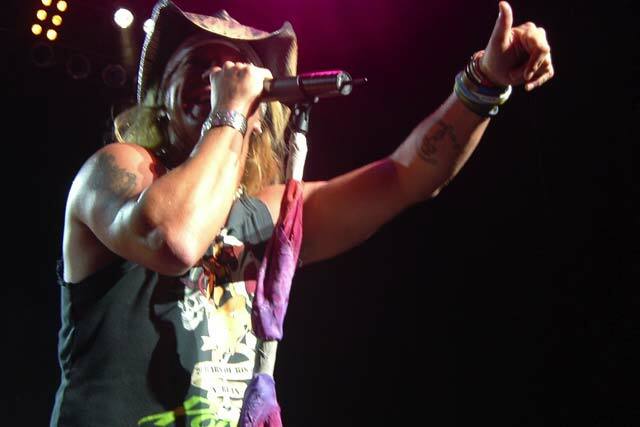 Bret Michaels is the ultimate front man, with his charismatic personality, and relentless energy. 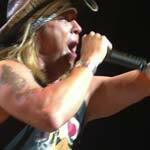 I have seen Poison perform many times, and I must say I never get tired of hearing these classic hits being performed live. The band performed in true Poison party fashion that inspired many impromptu sing along choruses and dancing in the aisles. Poison performed their latest single, the remake of the Grand Funk Railroad song,” We’re An American Band," This song pretty much summed up the longevity of what the band is all about. I think part of the success of Poison's longevity is due to the fact that Poison is a people's band. Last time I saw the band perform was in 2003. In February of 2003 year, The Station Fire Tragedy occurred in Warwick, RI. 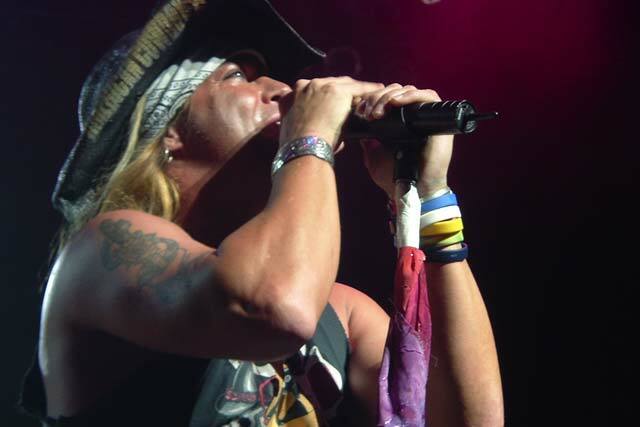 During Poison's 2003 concert at the Tweeter Center in Boston, Bret Michaels and the band set up a very special Station Fire Fund, and met with survivors from the fire. 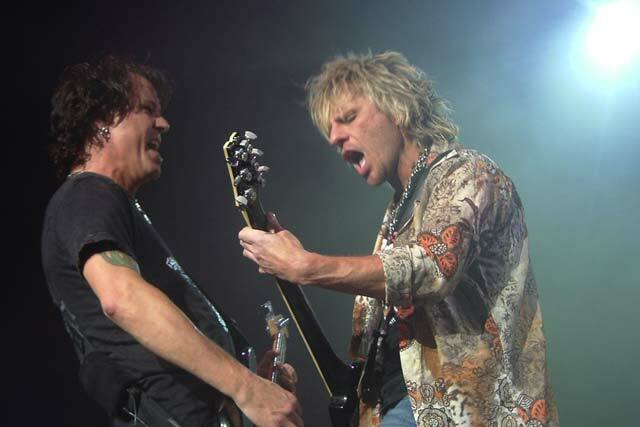 Poison have always made a stand, and one of the highlights of the set occurred when the band performed,” Cry Tough." 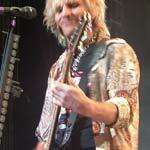 Bret says,” This is our oldest song." 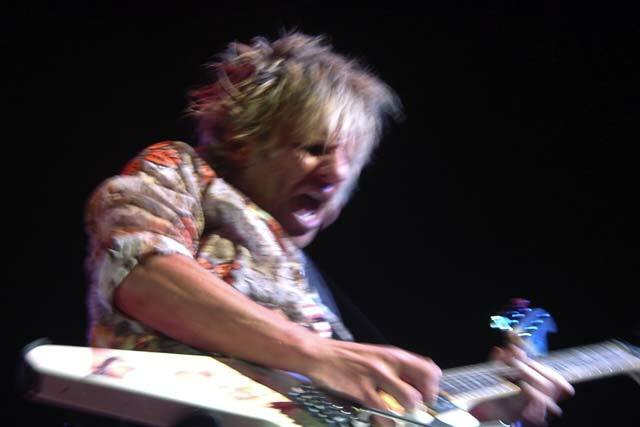 Guitarist C.C. Deville lit up the stage with his magnetic personality. C.C. 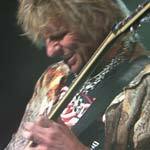 Deville sang,” I Hate Every Bone", and shined on his guitar solo. It was cool seeing C.C. 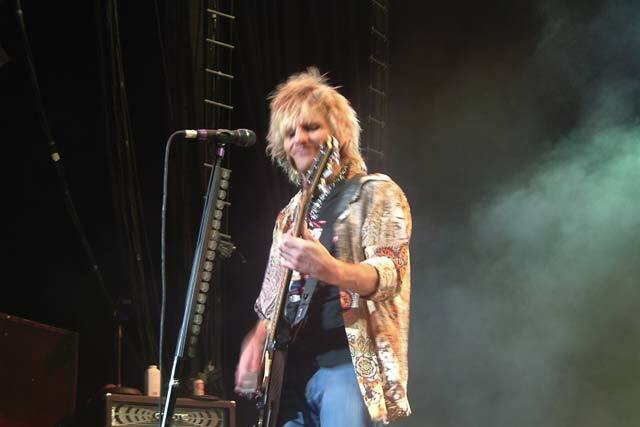 and Bret having so much fun onstage. 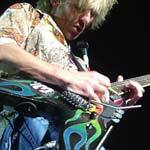 Highlights of Poison's set included Bret performing on acoustic guitar,” Something To Believe In." 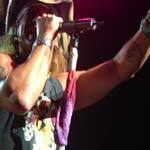 Bret dedicated that song to all of the men and women in the military that are making our country safe. The band also featured the band's bluesy side, as Bret played the harmonica and the band jammed on, "Your Mama Don't Dance." Back in the heyday of metal, MTV embraced the band and played a major role in Poison's success. 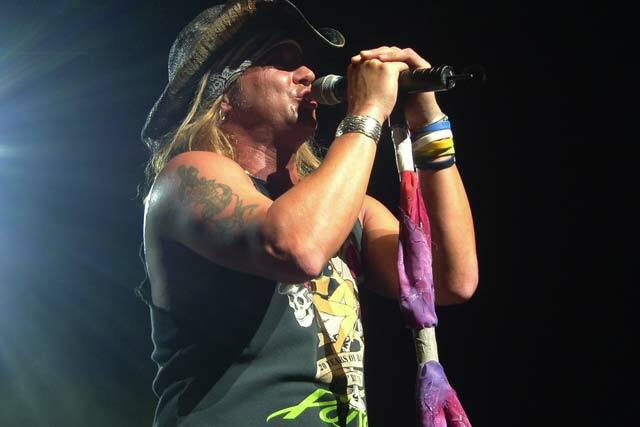 In the background their hit video "Fallen Angel" and "Every Rose Has It's Thorn" played on the big video screen, as Bret strummed my all time favorite Poison song,” Every Rose Has it's Thorn", in this special audience sing along. Poison has always done very well in the Boston area. 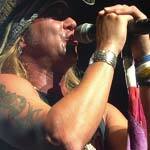 Bret Michaels said,” We have been playing Boston for over 25 years. The band first started out playing Narcissus, and then every year we kept returning to the city, and every tour got bigger and bigger. 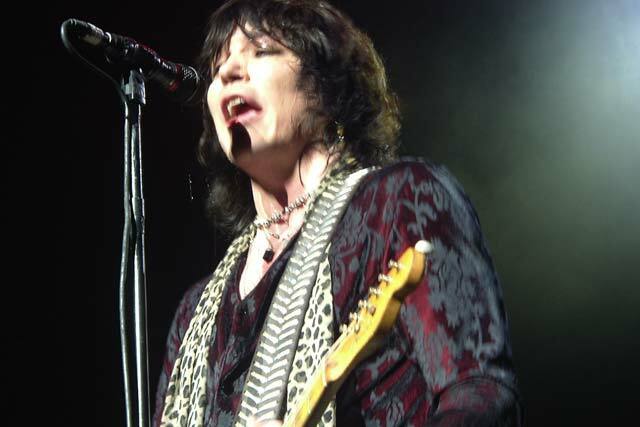 Boston is one of the greatest rock and roll cities." Everybody loves to play in Boston. As the night was coming to a close, and the band performed a power packed set of hit songs that inspired their career including, "Unskinny Bop," Nothing But A Good Time", and encore "Talk Dirty To Me, one thing was for certain. Bret, C.C., Rikki, and Bobby, better known as Poison have picked the perfect time to make a comeback. 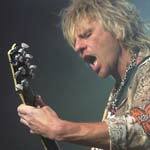 Poison still have the knack for putting on one of the most entertaining shows with a modern day twist. 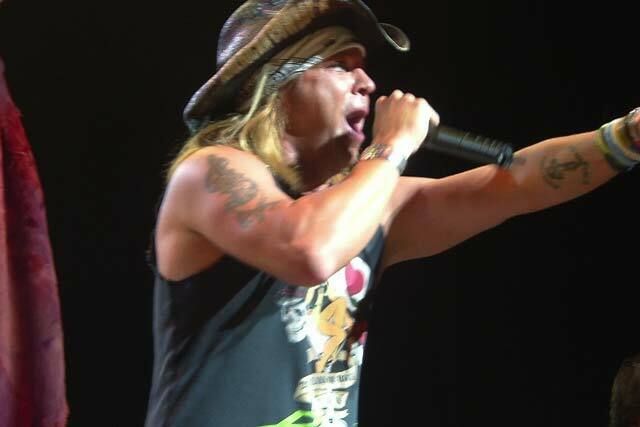 Tonight's Poison 20th Anniversary Tour turned back the hands of time, to when old school metal ruled the metal scene. Poison proved that music has no boundaries, as the band that put the Glam into metal, garnering a whole new generation of fans, with their timeless catchy songs that have spanned over two decades.